Hardcover, 9 x 11 in. / 384 pgs / 200 color / 300 bw. "A landmark in film scholarship." 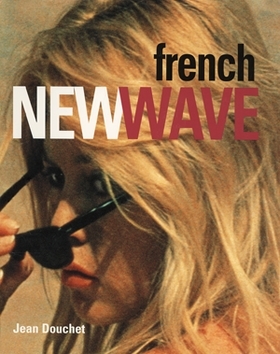 The last word on the French New Wave as viewed by one of its most influential commentators, this glorious book examines the golden days of that era, year by year, from 1955 to 1964, through beautifully-reproduced stills, movie posters and contemporary reviews from numerous sources. Jean Douchet, a staff writer on Cahiers du Cinéma during the New Wave's heyday, has written introductions that trace emergent themes in the films of Godard, Truffaut, Rohmer, Marker, Chabrol, Malle, Resnais, Rivette, Varda, Eustache, Astruc and Demy. French New Wave is unsurpassed as a history of the most influential movement in cinema history. FORMAT: Hardcover, 9 x 11 in. / 384 pgs / 200 color / 300 b&w.